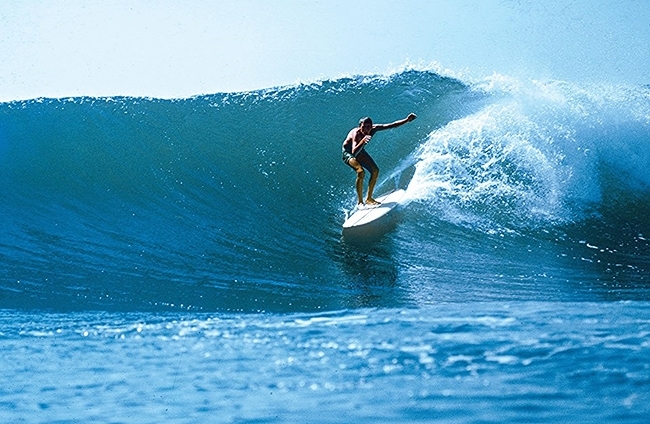 Bob captured many of the classic surf images in the 60’s. Gary Birdsall at Cronulla Point photo by Bob Weeks. The legendary photographer, Bob Weeks is pictured here surfing in 1995 by Tim Vanderlaan. 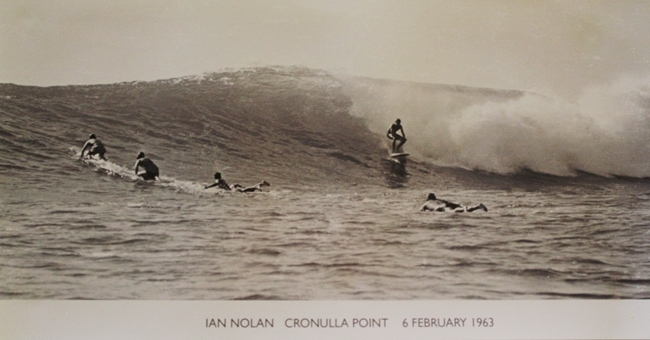 One of his shots appeared on the record cover “Bombora” by “The Atlantics” featuring Gary Birdsall on a huge Cronulla Point wave. Along with Jack Eden, these two blokes captured hundreds of film images from the iconic sixties surf revolution. Unassuming photographer from Sydney, Australia; a fixture on the Australian scene from 1960 to 1966, known for his evocative surf lifestyle images as much as his hot-rodding surf-action work. Weeks was born (1940) in Sydney, grew up in the harbor town town of Rose Bay, and was already an adept surfer by the time he moved with his family to a suburb near Cronulla, an Aussie surfing hotspot, at age 18. He’d taken his first photos as a boy, with a Kodak Brownie, and by 1960 he was good enough with a camera to get work as a photographer for the Australian government, at a rocket range in the South Australian desert. Missing the beach, Weeks quit the job after six months, returned to Cronulla, and began working at a camera store. When the first Australian surf magazines appeared, in 1962, Weeks was ready to contribute. He scored the cover of the debut Surfing World, and got a masthead-listed position at Surfabout. Weeks loved the work, but the money was negligible, and he had to improvise: at late as 1964, he waterproofed his Pentax SLF by slipping it into a clear plastic bag, which he then held aloft as he paddled out into deep water adjacent to the break. 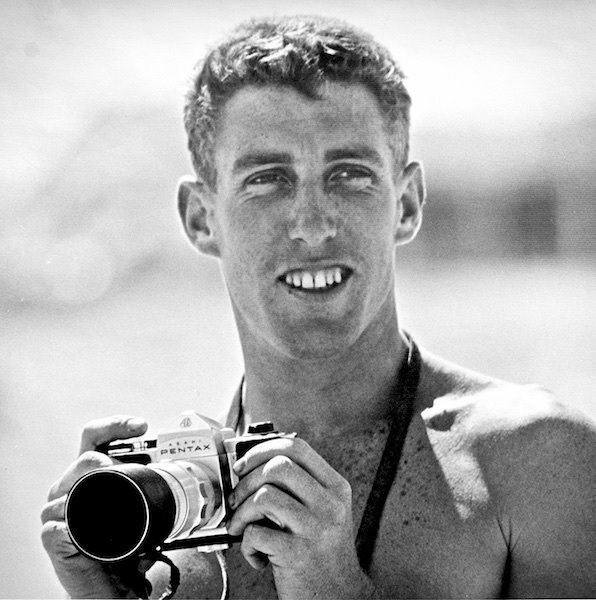 Weeks, unlike most surf photographers, had a darkroom and did his own developing, and virtually everything he shot during his early- and mid-’60s heyday was in black and white. Bobby Brown, Keith Paull and Frank Latta were among Week’s favorite surfers to shoot. While many of Weeks finest images were shot in and around Cronulla, he liked to travel, especially to New South Wales’ North Coast. Here Weeks had an advantage: his father worked for the railway, and Weeks often had use of the family “gold pass,” which allowed him to a free ticket up and down the coast.